RailCom is the name of the technology of bi-directional communication developed by Lenz according to the RP 9.3.1 and RP 9.3.2 of the NMRA. 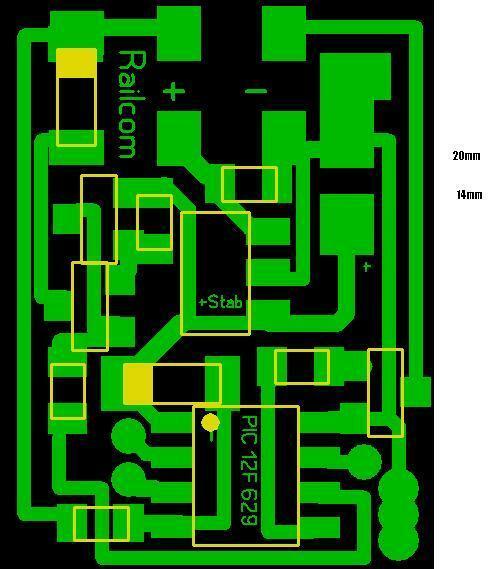 RailCom allows an external device to be able to read real data transmitted from a decoder. These data can include among others: the actual speed of decoder, its load, the contents of any CV and its address. 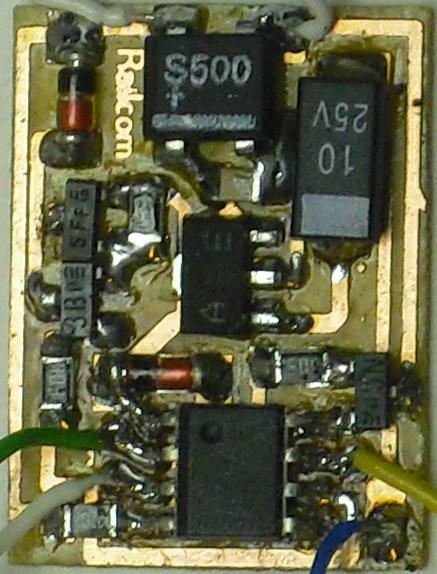 For data transmission from the decoder to the detector is necessary to interrupt track power between DCC packets. This interruption is called 'cutout'. The transmission interval is divided in two portions, called channels. Each channel can be used independently for data transmission. 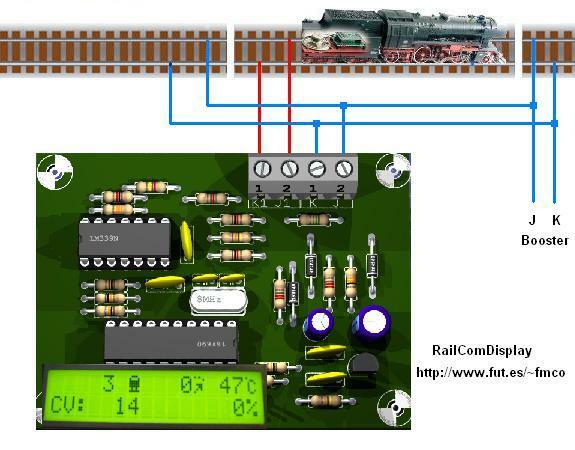 RailComDispay requires that a 'cutout' device conforms the DCC signal, to be able to visualize the transmissions and the decoder has active the RailCom functions. The isolated section should be at least twice the length of your longest locomotive. 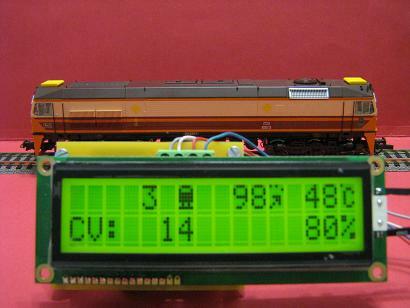 Installing RailComDisplay is easy; signal from booster is connected to J and K terminals, and the isolated track section to the terminals J1 and K1. Data are displayed in a 16 characters, two lines LCD display. If you use backlight, connect to an external power supply, not to the internal 5V. 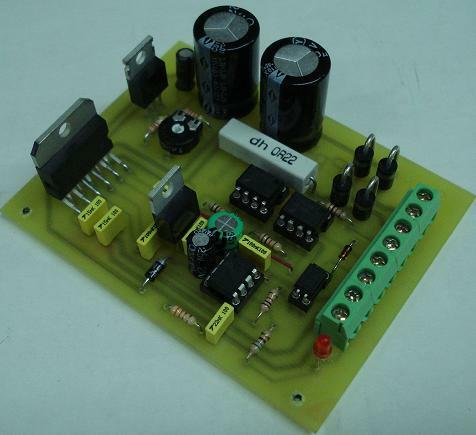 Download the manual, schematics and the PCB here in PDF format, if you want to build your own PCB or identify componets see this tutorials. Includes protection against shortcircuits that disconnect the power output and reconnect after the shortcircuit is fixed, protection if signal input fails that disconnects the output and shortcircuit signaling to command station with the E signal. 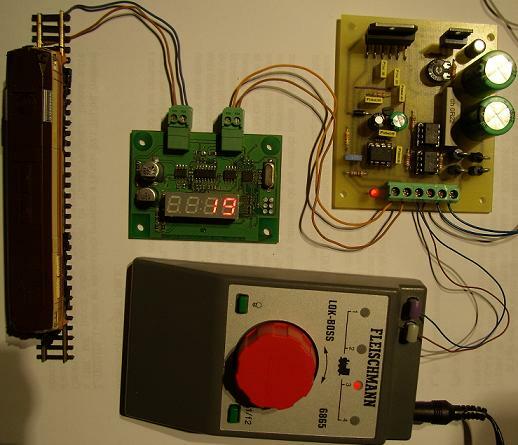 In the picture, the first prototype of BoosteR and a LokBoss already connected to a LRC120 to verify that generates the 'Cutout' of the RailCom although the command station not do it. The LRC120 shows that the locomotive is 19, unfortunately the LokBoss only can control the locomotives at the addresses 1 to 4! RailCom transmitter (Locomotive number and CV1 to CV128) to mount in parallel with the not RailCom capable in the locomotive. 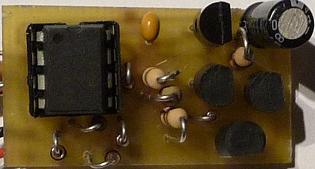 With two outputs for the lights (LED). Additional output for a white LED mounted on wheels to produce the effect of sparks during braking.